Manchester United have reportedly decided against sanctioning the sale of Eric Bailly despite the strong interest from Spanish side Sevilla. The Ivorian has struggled with form and fitness issues during his two-and-a-half seasons with the Red Devils and he is currently serving a three-match suspension after his straight red card against Bournemouth. In between this, he has been touted for a potential departure with Sevilla said to be planning an offer but according to The Telegraph, their efforts are likely to go in vain. United are planning to add at least one new signing at the heart of the defence this month and this could drop Bailly further down the pecking order at Old Trafford. Still, the club consider him as a strong option for the defence and they are prepared to wait until the summer at the least before considering his future. 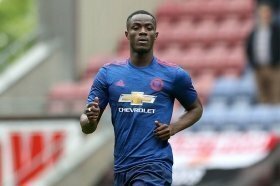 Bailly has just 18 months remaining on his existing deal with United.